STANLEY Pringle would rather win a game than set a personal scoring milestone. But 50 points is still 50 points. The Globalport guard admitted he didn't set out to post a scoring record on Friday night when he became the first local player to reach the 50-point plateau in 14 seasons while leading Globalport to a 135-108 rout of Columbian Dyip in the PBA Commissioner’s Cup at the Smart Araneta Coliseum. The 31-year-old Pringle scored in double figures in each of the four quarters on the way to the new season-high mark that also stands as a franchise best for the Batang Pier. Pringle is the first local and active player to score 50 points in a game since the ageless Asi Taulava dropped 51 in a 131-105 Talk ‘N Text win over Purefoods on May 16, 2004 during the Fiesta Conference. 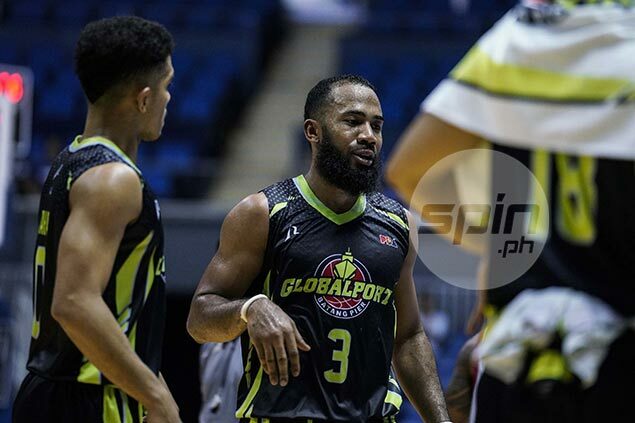 The Globalport star’s previous career-high was 33 scored in Globalport’s loss to NLEX on Christmas Day at the Philippine Arena in Bulacan during the Philippine Cup. Pringle though, would be more than happy to take the win – record or no record – as the Batang Pier reached the .500 mark at 5-5 and moved into strong contention of making the quarterfinals of the mid-season meet. “I honestly don’t care about 50 points. I’d rather try to win it and get into the playoffs, and do something (in the playoffs),” said the San Diego, California native. By the time he hit 48, Pringle said he was ready to call it a day, but was prodded by coach Pido Jarencio and his teammates to go for the scoring landmark. “They told me, ‘Go get two more points.’ Coach didn’t want to get me out, he said, ‘Score two more,’” said Pringle of what transpired at the Batang Pier bench. Pringle capped his career-record by going 18-of-30 from the field, including 9-of-16 from three-point range. He added five rebounds and six assists in 40 minutes of play. His career-best came just two days after having a bad game in Globalport’s 135-108 loss to Phoenix, where he finished with 14 points, including just four in the first half. Pringle gave credit to the Fuel Masters’ defense for holding him to 5-of-12 shooting. Pringle said the last time he dropped 50 points in a game he was still in junior high. “Long time ago, that was back in seventh grade. It’s been a while,” he said. Even after doing the incredible mark, Pringle showed he’s only human. “Yes, I’m tired,” he said.